Approximate reading time: 27 min. Mobile phones, tablets and computers have long lost their original purpose of communications and calculating machines. Now for most people they perform an entertaining function, the value and meaning of which have completely overshadowed the original purpose of these devices. Functions of gadgets as a means of communication have also changed – they are used not so much for the transmission of voice messages, as for communication in social networks. And certainly these are not the only manifestations of the consequences of the development of computer technology and communications. It is worth remembering that human speech and thinking are inextricably linked. As early as 1887, the English linguist, Professor of Oxford, FM Muller, wrote in his book The Science of Language: “No one, I think, will be able to challenge the fact that a thought without language or any other incarnation is impossible. What we used to call a thought is only the reverse side of the coin, the front side of which is an articulate sound”. 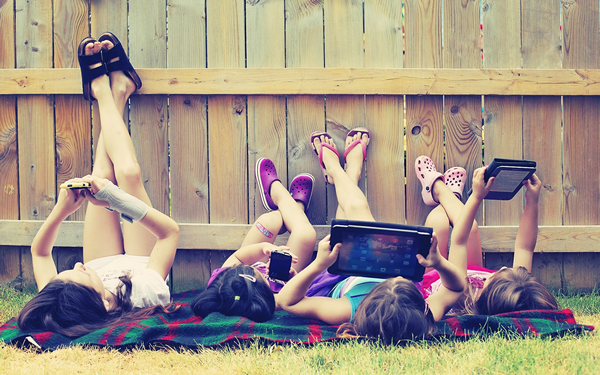 What impact can gadgets have on the development of a child, given that today parents often begin to teach children to use them almost from the cradle? We propose to familiarize with the report “The influence of gadgets on the speech development of children” presented by the St. Petersburg teacher-speech therapist of the highest qualification category Emma S. Agopyan at the scientific and practical conference “Towards a school of health: the formation of education in the context of GEF”, which took place in the framework of the VIII St. Petersburg International educational forum. Every summer I went on a train to my parents on a visit with a child, or even two and three. It was a real test: two days in a confined space… All the children in the car were making noise, running, talking, going to each other’s houses. Their parents occupied them with reading books, coloring, table games, telling different stories, since the tales had already been learned by heart, the children themselves came up with games, making contact with the other guys in the car. I saw a completely different picture on the train this winter. As soon as there was a slight noise, the parents gave a tablet to their child and he/she has not been heard for many hours. Great! Children do not make noise, mothers are calm. 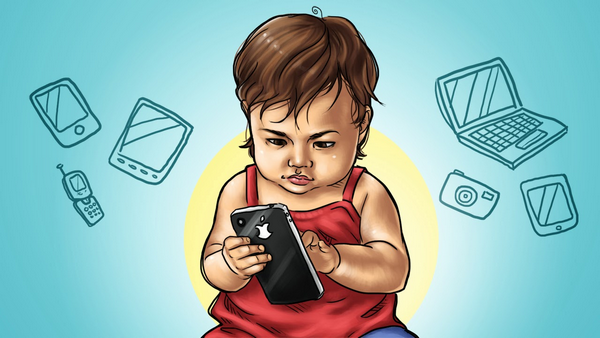 I was wondering, but how such an early passion for gadgets can affect a child’s speech development? I want to immediately emphasize your attention that we will only consider speech development. Let’s go in order. Let’s start with intrauterine development of a fetus. The formation of the hearing aid is completed by the 24th week of development; before this time the fetus perceives sounds by the whole surface of the body. Therefore, first of all, it “senses” the sounds of the mother’s voice: they are carried out in the form of vibrations of the tissues of her body and amniotic fluid. In this case, the words addressed to the fetus, the husband, colleagues or someone else, are going to be felt by the baby absolutely equally. Starting from the sixth month of intrauterine life, the crumb already hears in the usual understanding of this word for us; now it has the ability to distinguish the difference in intonation – the overtones of sound and, thus, can distinguish between the sounds of its mother’s voice and the surrounding noises. Therefore, having been born, a baby can really react more actively to the “familiar” in the intra-uterine period of the voice’s life, a baby “recognizes” by intonation the mother, father or grandmother. This happens provided that people close to the child during the period of intrauterine development talk, and not necessarily with the tummy, but just talk with each other. A modern mom is silent, she is online; but with grandmothers everything is more complicated and complicated, young families mostly live separately. In the evening, Dad will come home from work, eat and also go to the virtual world. Thus, the child is deprived of communication yet having not been born. Let’s try to compare the early development of a child (since it is entirely related to the speech development) of the recent past and the present. It used to be: a child on someone’s arms, in an arena, on the floor, in a stroller. He/she crawls about the room, knocks on everything, hits a mountain of ironed clothes, tries to catch a cat, then weeps, that she scratches, he/she is being calmed, taken on hands, told stories, kissed a place, where it hurts. In a word, has been shown attention, sympathy, there is interaction between an adult and a child. The main significance of the preverbal stage in the development of a child’s speech is, that at that time conditions for understanding speech are being formed, they are taught to sing out the sounds of human speech among all sounds, during this period the sensitivity to those characteristics of speech sounds that form an understanding of the meaning of the word increases. Now: the difference is small, except that a mother has more free time and a lot of anxiety. Therefore, a child is mostly fastened: to the carriage, to the mother, to the chair … it’s impossible to crawl around the yard quietly. Around is danger, dirt, cigarette butts, animals. In the modern city apartment, various adaptations, toys, “developmentals” and “diversions” were invented. All in order to prevent a child from exploring the world around him. But in order to develop harmoniously, a child needs to run, climb, dig, pour and pour, smash, sniff, wake up, that is, explore the world independently, gaining invaluable experience. Mom wants to quietly wander in social networks. Therefore, as soon as the child grows up to independent sitting, he is given an old phone or tablet, or the TV is being turned on. Now a child is busy, and a mother has half an hour for herself. We also almost completely moved to the cars. A child in the car is bored. He is capricious, trying to get out of the chair, which is tightly fastened. That the parent is not distracted from driving and for reasons of safety, a gadget is handed to the child. In the queue in the children’s clinic, in the subway, in the train, in any situation of waiting, when parents do not know how to take a child, or do not want to strain – an electronic friend will help out everywhere! The first, second and third year of a child’s life is the so-called sensible period for the development of speech. In other words, this is the period when speech is actively developing, the corresponding zones of the brain develop. It is during this period that active communication with peers, grandmothers, and parents is necessary. Now: buckled up, spends more time with the gadget, since the games that the child has mastered become more complicated, he has already formed a screen dependency. The child is encouraged, punished, educated, promising or taking away the gadget. 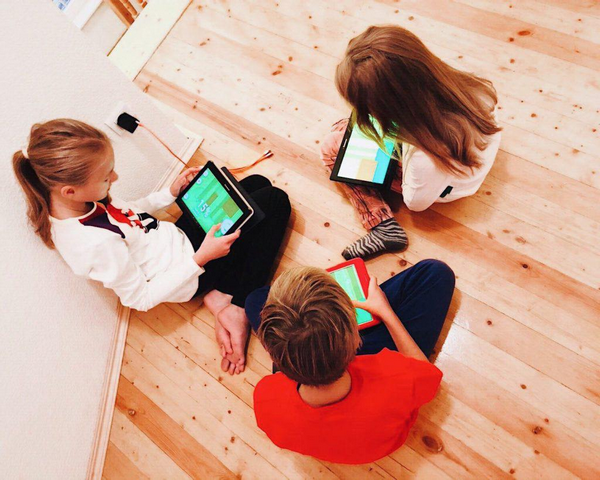 In tablet games there are only bright, accompanied by music, changing pictures, which are very exciting for children, swing the preverbal level of activity and fix the child on it. This preverbal world of images becomes very valuable, the child begins to prefer it to all other modes of functioning. It used to be: walking in the courtyard or on the court, helping the father to repair the car, repair the shelves or a stool, help the mother to wash the floor on Saturday, to beat the carpet on the snow. He/she goes with parents to a dacha on four types of transport, this is practically a trip around the world … And if he/she is lucky, the child will be left for a couple of weeks by his grandmother in the village: he chases after the chickens, makes friends with the dog, helps the grandmother in the garden, and with the local children climbs the whole district and will receive so many impressions that it will be enough until the next visit. Now: watches cartoons, plays with gadgets, walks under the care of his/her mother, goes to developing games in the center of “Development”, goes to classes to the speech therapist. The screen becomes the main “educator” of a child. According to UNESCO, 93% of modern children of 3-5 years look at the screen for 28 hours a week, i.e. about 4 hours a day, which far exceeds the time of communication with adults. This “harmless” occupation suits not only children, but also parents. In fact, the child does not bother, does not ask for anything, is not a hooligan, is not at risk and at the same time gets impressions, learns something new, is attached to modern civilization. Buying a kid new video films, computer games or consoles, parents seem to care about its development and tend to take it as something interesting. The home screen completely ousted Grandma’s tales, mother’s lullabies, a talk with the father. I suggest that the milestones of the speech formation of our children be completed on this, since, ideally, by the age of 5, oral speech should be formed. By the age of 5-6, the sensitive period ends, the brain regions responsible for speech cease to be plastic, and if the child by that time speaks very poorly or almost does not speak, then it will not be possible to teach him and fix the situation completely. Scientists argue that 70% of information about the world children get up to 5 years. The remaining 30% are collected for the rest of their lives. Speech is born only in the process of active interaction with the outside world, with people. The first function of speech is communicative, socializing. First, a child hears the parents ‘comments about his/her actions and feelings, he connects the parents’ words with their actions. Then a child himself/herself wants to somehow influence the parents, inform them about his/her desires and feelings. The more actively the child interacts with the world, the more speech he develops. The activity must also be specific – it must be highly communicative. The communicative activity of a child depends very much on the parents. From the way they make it important, whether they talk with the child, whether they leave it space for communicative activity. If the child is already two, let alone three years, and the parents still treat him like a baby, try to guess and warn all his desires, without expecting any effort from him, then the motivation for speaking with him decreases. Why would he/she even talk, if it is good anyway? The level of interaction with surrounding people remains primitive, the interaction itself is passive. Even more reduce the motivation of silent computer toys. 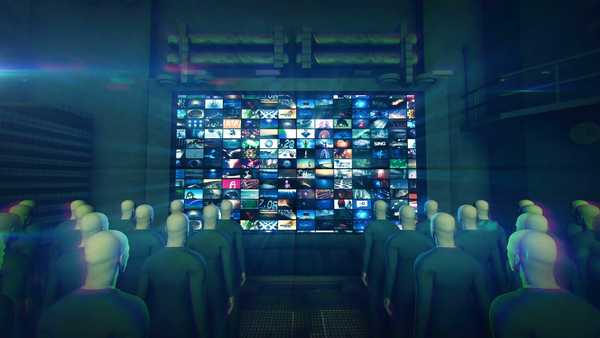 If the TV somehow stimulates the speech (pictures on the TV are constantly accompanied by emotionally loaded speech), then for a transition to a higher and more complex level of mental functioning, a serious set of efforts is needed. 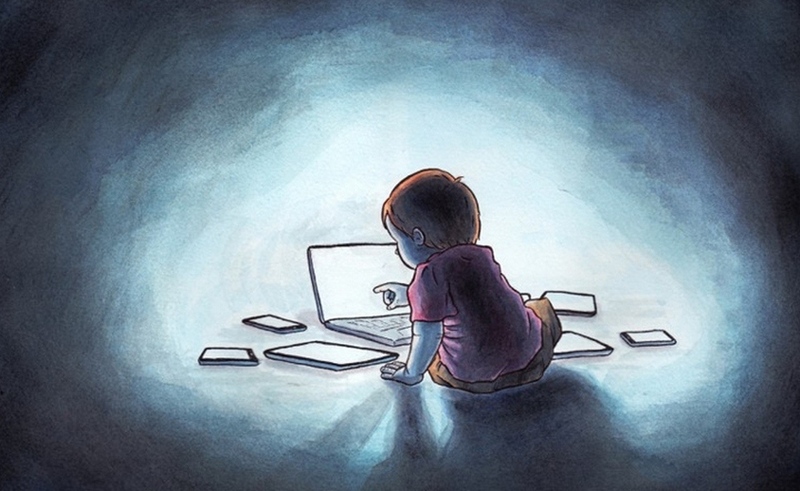 The more time a child spends, having buried in the screen, the less he/she learns to communicate, to accumulate experience of dialogue, scanning and an exchange of emotional conditions. This seemingly harmless occupation carries serious dangers in itself and can lead to very sad consequences not only for the physical health of a child (about visual impairments, lack of movement, spoiled posture already said quite a lot), but also for his/her mental development. At the present time, when the first generation of “screen children” matures, these consequences become more and more obvious. The first of these is a lag in the development of speech. In recent years, both parents and teachers are increasingly complaining about the delays in speech development: children later begin to speak, talk little and badly, their speech is poor and primitive. Special logopedic assistance is needed in almost every group of kindergarten. As shown by special studies, in our time, 25% of four-year-old children suffer from a violation of speech development. In the mid-1970s, only 4% of children of the same age had speech deficits. Over the past 20 years, the number of verbal violations has increased more than six times! However, what does the television have to do with it? After all, a child sitting at the screen, constantly hears speech. 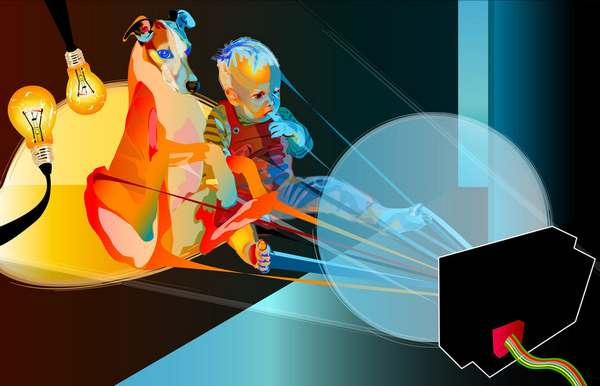 Is saturation with audible speech not conducive to speech development? What difference does it make who speaks to the child – an adult or a cartoon character? The difference is huge. Speech is not an imitation of another’s words and not a memorization of speech stamps. Mastering speech at an early age occurs only in a lively, direct communication, when a kid not only listens to other people’s words, but answers another person when he/she is included in the dialogue. And, it is included, not only by hearing and articulation, but by all its actions, thoughts and feelings. In order for a child to speak, it is necessary that speech was included in his/her concrete practical actions, in his/her real impressions and most importantly – in his/her communication with adults. Speech sounds that are not addressed personally to a child and do not imply an answer do not affect the child, do not induce him/her to act, and do not cause any images. They remain an “empty sound”. Modern children in the majority use too little speech in communication with close adults. Much more often they absorb TV programs that do not require their response, do not react to their attitude and which he/she himself/herself can not influence in any way. Tired and silent parents are being replaced by the screen. But the speech, coming from the screen, remains a little meaningful set of other people’s sounds, it does not become “one’s own”. Therefore, children prefer to remain silent, or speak with cries or gestures. However, an external speech is only the tip of the iceberg, behind which lies a huge lump of inner speech. After all, speech is not only a means of communication, it is also a means of thinking, imagining, regulating and mastering one’s behavior; it is a means of realizing one’s experiences, one’s behavior, and one’s consciousness in general. In inner speech, not only thinking is done, but imagination, and experience, and any representation, in a word everything that constitutes the inner world of a person, his/her spiritual life. It is the dialogue with oneself that forms the inner form that gives stability and independence. If this form does not develop, if there is no inner speech (and therefore internal life), the person remains extremely unstable and dependent on external influences. He/she simply can not hold any content or strive for any purpose. As a result, there is an inner emptiness that needs to be constantly replenished from outside.. Many children find it difficult to perceive information by ear – they can not hold the previous phrase and bind individual sentences, understand, grasp the meaning. Audible speech does not cause them images and persistent impressions. For the same reason, it is difficult for them to read – understanding individual words and short sentences, they can not hold and bind them, as a result they do not understand the text as a whole. Therefore, they are simply not interested, it’s boring to read even the best children’s books. Children who are accustomed to, or already dependent on gadgets, often say that they are uncomfortable to read. Frequent and lengthy games on tablets and iPhones form completely unnatural for reading and writing dynamics of the eye muscles. A child finds it difficult to focus the eye and hold it on an object that does not move, because the eyes are used to watching the moving bright objects in the games. Also, there is a violation of eye movements when tracing a line from left to right and eye movement with a change to a new line. Chaotic movement of objects, which is used in computer games, does not in any way contribute to the formation of movements when tracing a line from left to right and from top to bottom. In order for reading instruction and the reading process for a child to be comfortable and optimal, a child should be able to translate the view from left to right and be able to do it carefully and carefully throughout the entire reading or writing process. It is necessary to keep attention and manage the muscles of the eyes. Children who are already dependent on gadgets – “running” look. Substitution and replacement of the human way of communication in the family by an electronic surrogate pose a significant danger, as they violate the normal code and the algorithm of children’s mental, social, cultural and spiritual development. Young users of electronic toys become self-sufficient, their normal needs and motivations in contact with parents and children are weakening. Gradually, adults lose their leading role in relation to mental, speech, emotional, communicative, social and spiritual development and lose the ability to influence a child’s behavior. This is one of the reasons for the significant increase in the number of children with autism manifestations and autism spectrum disorders (ASDs). The ASD is gradually turning into an “epidemic” of the 21st century. In 2006, in Russia there were, “even according to the most cautious estimates, at least 150,000 children with autistic disorders”, in 2011 there are already “no less than 250-300 thousand children with ASD under the age of 18″. The introduction of gadgets into the living space influenced not only the formation of oral speech, but also led to the emergence of a special type of written speech (SMS) without spelling and syntactic rules and forms of politeness, the main feature of which were the brevity and minimum keystrokes. As they mature, modern children are increasingly “listening with their eyes”, reading SMS messages and chatting, and “talking with their fingers.” The leading neuropsychologists testify to the inexorably and ubiquitous impending drama – “the loss of the native language by the modern children – the carrier of the axis of consciousness”. The evolutionary articulation apparatus of a child is ready for the pronunciation of sounds from birth, but it takes time for the development of speech (i.e, the ability to express thoughts in oral and written form through words). The development of speech, actively occurring in the first three years of life is impossible without child-parent communication. The foregoing does not at all mean calling for the exclusion of television and computers from the lives of children. Not at all. This is impossible and meaningless. But in the early and preschool childhood, when the inner life of the child is just forming, the screen carries a serious danger.